2) Take a picture of yourself with it and submit it using our form on this dedicated page: http://raoni.com/alerte/kaiowa.php. 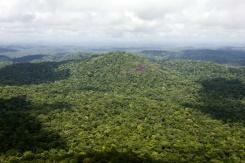 Planète Amazone (Amazon Planet) is initiating an international emergency campaign that has to become viral. 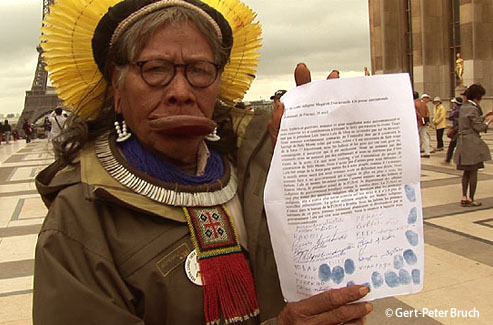 Its aim is to put pressure on Brazil’s current president Dilma Rousseff so that she signs immediately the decree that would provide definitive approval for 22 indigenous Guarani-Kaiowá territories. This would stop the bloody raids and others murders by big landowners who grabbed their traditional lands. 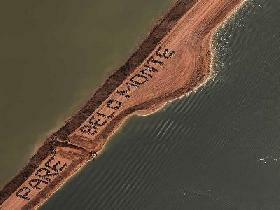 Recently we asked the international community to take action by urging the Brazilian environmental agency IBAMA to reject the dam-building consortium Norte Energia's request for Belo Monte's operational license. In a stunning victory for social and environmental accountability – and thanks in part to the many thousands of you that took action – it worked! Yesterday's decision by IBAMA effectively paralyzes the mega-project as a result of its egregious legal violations, while sparing the region and the city of Altamira devastating flooding, at least for now. 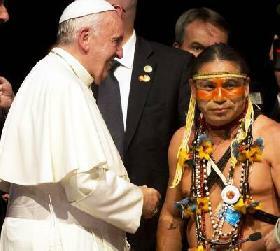 Unlike during his stay in Brazil for the 2013 WYD (World Youth Day), Pope Francis did not only meet evangelized natives while he was in Bolivia recently. 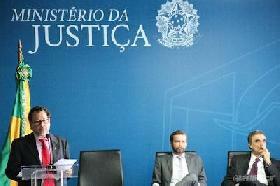 Eliseu Lopes, who secretly came to meet him and has already spoken about his people’s fate before the European Parliament and the United Nations at the end of 2014, was able to talk with the Holy Father, to the great displeasure of Brazilian president Dilma Rousseff. 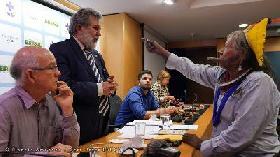 The meeting took place on Thursday, July 9th, in Santa Cruz, during the World Meeting of Popular Movements. 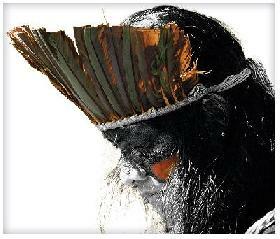 Envol Vert supports the Guarani people’s cry for help. Following Valdelice Veron’s first trip out of Brazil, in Paris, Envol Vert supports the Guarani-Kaiowá people’s cry for help, as they endure deforestation and land-grabbing. 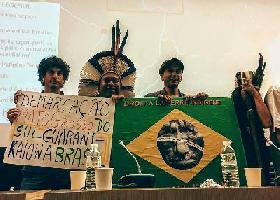 “We are alive but we are slowly dying”: two Amazonian Guarani-Kaiowá representatives came to Paris to set off the alarm against deforestation and to denounce the dispossession of their land, both of which threaten their future in southwest Brazil. 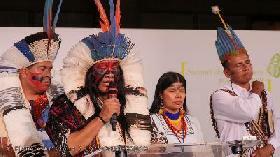 Valdelice Veron, spokeswoman of the Guarani-Kaiowa, accuses Brazil of "ecocide"
Driven out of their land by ethanol producers, 300 Guarani have died in the past ten years. She has the sad smile of those who turned their life into a battle. 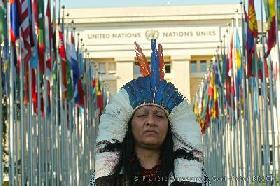 Under her proudly worn Indian headdress, she lets her deep black eyes pierce, filled with rage, anger and frustration. 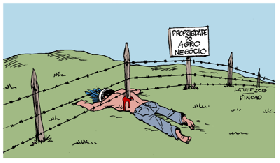 She is a mother, a wife, and an orphan daughter of the Guarani Kaiowá chief Marcos Veron, savagely killed by agro-crime in 2003, in Mato Grosso do Sul. Bioethanol is one of the three first generation existing agro-fuel branches (agro-fuel being a better term than “biofuels”, which is more ambiguous and suggests that they are organic). It is derived from sugar plantations (including sugar cane plantations in Brazil), then incorporated in fuel up to 5 to 85%. Valdelice Veron's testimony for the Sommet des Consciences, July 21st, 2015. 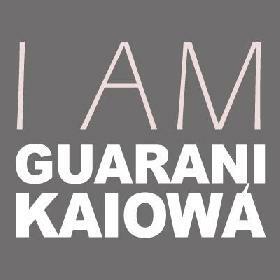 She is from the Guarani-Kaiowá people, in the State of Mato Grosso do Sul, Brazil : “I am an Indigenous woman, proud to belong to the Kaiowá ethnic group. I am the daughter of Chief Marcos Veron, murdered in 2003 like 289 other persons from my people, who were slaughtered by big landowners during this last decade: children, women, the elderly, and men in the prime of their life. I am myself threatened. 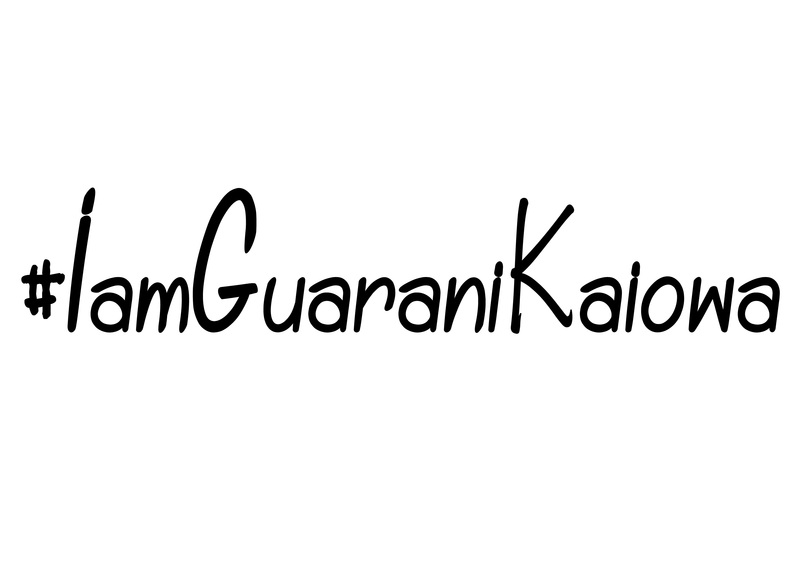 I take action to protect the tekoha, that is to say the traditional way of life of my Guarani people. Upon Valdelice Veron's visit to France and the United Nations, French actor Pierre Richard, supporter of the indigenous' struggle to save the Earth, rants about the international community's inertia, and especially that of French opinion. 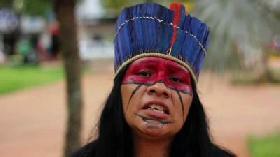 Mrs. Veron is a spokesperson for the Guarani-Kaiowá people, in Mato Grosso do Sul, Brazil. She came with Chief Natanal Vilharva-Cáceres. 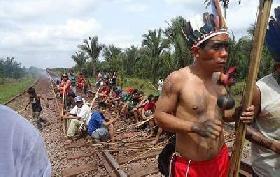 “My name is Valdelice Veron, I am from the Kaiowá ethnic group, in Mato Grosso do Sul. I am here today to relay the cry of our people, the Guarani Kaiowá, and of those who have already fallen in the fight for the land, of those who can no longer speak (…). 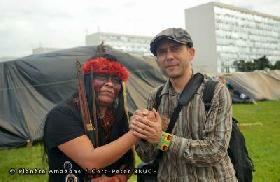 GERT-PETER BRUCH: "Valdelice Veron carries the the Guarani-Kaiowá people’s cry"
The “Summit of Conscience” will take place on Monday at the Elysée and on Tuesday at the Economic and Social Council in Paris as an event organized by Nicolas Hulot among others, and hosting numerous personalities such as Arnold Schwarzenneger, Pierre Rabhi, Prince Albert II of Monaco, or even Marina Silva, to issue a “call for conscience” to the negotiators of the Paris Agreement on Climate, COP21. 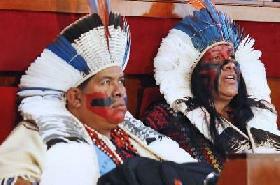 Although Indigenous peoples had suggested another candidate, it is former senator for PT Amazonas João Pedro who assumes presidency, a job which the Minister for Justice considers ‘the hardest role in the Republic’. Valdelice Veron is in France from July 20th to 26th, 2015, to meet with authorities, personalities, and French media, as well as to go to the United Nations in Geneva. 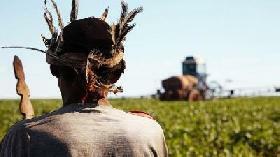 She is coming to set off the alarm about her people's tragic situation : the Guarani-Kaiowá are harassed by farmers who destroy their lands in the name of sugarcane monoculture, used to produce biofuel. 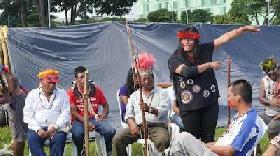 On Tuesday afternoon (28-04), in Brasilia Special Secretary for Indigenous Health Antônio Alves de Souza met with leaders of the indigenous Kayapó people. They discussed the proposal to strengthen healthcare in the Special Indigenous Health District (DSEI) in Kayapó, Mato Grosso. The meeting took place in the Emílio Ribas Hall at the Ministry of Health and was attended by senator Wellington Fagundes (PR/MT). Ademir Kaba Munduruku will argue Brazil is violating indigenous rights by failing to consult them about the hydroelectric project on the river Tapajós. 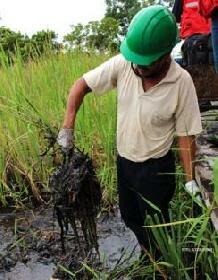 Argentinian multinational Pluspetrol tried to have its 9-million-dollar fine for not compensating environmental damage caused by its activities annulled. This request was dismissed by the court of first instance in early June, and the firm unsurprisingly announced its intention to lodge an appeal. 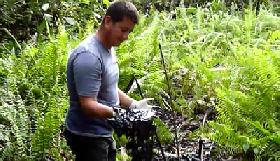 Pluspetrol has been extracting oil from bloc 8, in the center of the Pacaya Samiria National Reserve – jewel of the Peruvian Rainforest and internationally recognized as a RAMSAR site – for nearly 20 years. Many autochthonous communities of the kukama kukamiria ethnic group live there.